This week at ALWAYS in the MIDDLE I”m featuring another end to a series, and what a great journey readers have had. Laurie B. Arnold began the tale of orphan Madison McGee in 2013’s HELLO THERE, WE’VE BEEN WAITING FOR YOU. Next came HELLO THERE, DO YOU STILL KNOW ME? in 2017. If you’re not familiar with the series, fear not if you begin with the third story. You’ll quickly discover the magic in the form of the MegaPix6000, a television with a rather unique remote. Use it correctly and you can travel to the time and place of any show being broadcast in an instant. Madison also has a magical fanny pack that can often supply just what is needed in an emergency. The tale begins in Truth or Consequences, New Mexico, where Madison now lives with her grandmother. Madison is off to spend the summer in Bainbridge Island, Washington where she grew up. She’ll be there with a former neighbor and two of her best friends. Before reaching the airport, Madison finds a picture of a dark haired boy and the mystery takes off. With help from her friends, they find the boy and to save him they time travel to Las Vegas, Nevada where his half brother holds the secret he stole 13 years ago. I’ll stop there so I don’t give too much of the plot away, especially who the dark haired boy turns out to be. Madison’s first person narration hits home for any girl or boy who enjoy an adventurous read. The time travel aspect is the key for making the story such a hard one to put down, and it will have you thinking about what shows you’d time travel to if given the chance. The pages go by in a hurry as themes of family, friendships, and future all come together in a satisfying conclusion. Entertaining at every turn, a book like this will make a great companion on those future spring and summer trips. The loss of a parent can be a tough topic to explore, and even though Madison misses her mom greatly, she feels her mother is watching from the clouds above. All the main characters in the first two books return and their arc of change and growth are more than evident. Time travel has never been presented in this way where you port through a television. A great and necessary part of the story. Rosalie Clair is a character who supplies the adult presence. She is thoughtful and always makes the kids think in different ways. The third story tidies up all the loose ends in an heartwarming way. In this third and final book in the series, Madison is on a fateful trip back to Bainbridge Island, where she grew up, to spend the summer with her best friends, Noah and Violet. It’s an emotional journey, shadowed with memories of her mother, and questions about her father’s disappearance. As she and her dog Leroy travel from New Mexico to the west coast, she opens her fanny pack and discovers a photo of a black-haired boy. Even though she’s sure he’s a stranger, she intuitively knows that he needs her help. Again, it’s the MegaPix6000 to the rescue, and the “Mighty Trio” enters a weird and frightening world of magicians, shapeshifters, and evil doers. When I was a child, books were my magical portal into another world. I’d imagine I was tag-teaming with Harriet in Harriet the Spy; that I was Laura in the Little House books; and I still fantasize that some day I’ll awaken to a completely transformed bedroom just like Sarah did in A Little Princess. Oh, and would someone please give me a magic purple crayon just like Harold’s?! I longed to literally dive into books and to become part of the story. So the MegaPix grew out of that childhood fantasy. I’m not an avid television watcher, nor was I as a child, but TV is another canvas for storytelling – and it fit perfectly with the real Madison’s Most Boring Summer when she was forced to watch the shopping shows day in and day out with her grandmother. 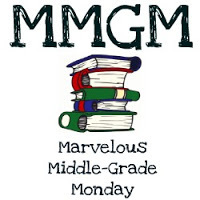 This entry was posted in Middle Grade Book Reviews and tagged Hello There I'm Coming Home!, Laurie B Arnold, Marvelous Middle Grade Monday. Bookmark the permalink. 15 Responses to HELLO THERE, I’M COMING HOME! This sounds so interesting and fun! I’ve always wanted to time travel. Since I can’t, I’ll read about others who do. Thanks for letting me know about this book. Thanks so much! There’s nothing better than curling up with a good book and doing a little armchair time traveling! I like what you wrote about this story — what fun! And the time travel is unique. But I wonder where the boat fits in. At first look, I thought it was a paddle boat and then realized it isn’t. You said enough to intrigue me in the series. Hi Patricia! The boat is a depiction of the Washington State ferry that travels between Seattle and Bainbridge Island – the place where Madison McGee, the protagonist – grew up. And glad you’re intrigued! Ooh, you make this series sound so fun. I love the way they time travel too. Thanks so much, Natalie! The magical TV portal has been the hook I’d hoped it would be to get kids (and even adults) turning pages! I somehow haven’t heard of this series and it sounds like a delightful mix of magic and deep feels! Thanks for the recommendation, and for hosting us! I’ve never heard of this series, but it sounds like a ton of fun. Thanks for sharing! Thanks so much, Michelle! It’s been the kid-pleaser I’d hoped for when I started writing the series! I’m totally intrigued by who the dark-haired boy will turn out to be! Great review, Greg. I hadn’t heard of this book. Hi Joanne. Ah, the dark-haired boy is only the first mystery. You won’t have to wait terribly long to find out who he is. But once you do, things become even more perplexing and Madison and her friends have some puzzling things to solve before she can finally find herself in the place where she was always meant to be. You make this sound irresistible. I often have trouble getting my boys to read books with a female main character but I’m going to give this one a try. Thanks for the review. What a clever premise for a time travel story. This sounds like a lot of fun. Thanks for telling me about it. Thanks for sharing this book for MMGM. I love the cover art on this installment of the series.